Bethany is the queen of resourcefulness. In her quirky storytelling solo show, Bethany finally opens up about her tips, tricks and the frightful lengths she's gone to to save money, food... well anything and everything really. It’s a hot handy hack guide for all, a celebration of weird uniqueness, and a microscope into hoarding. Bethany is excited to bring this first Development Season to the stage! Bethany is an emerging performer and theatre practitioner in Wellington, and a member of the Scruffy Bunny Theatre house team Dubious Virtue. She works as an actor, improviser, producer, deviser, singer and music director in a range of projects. 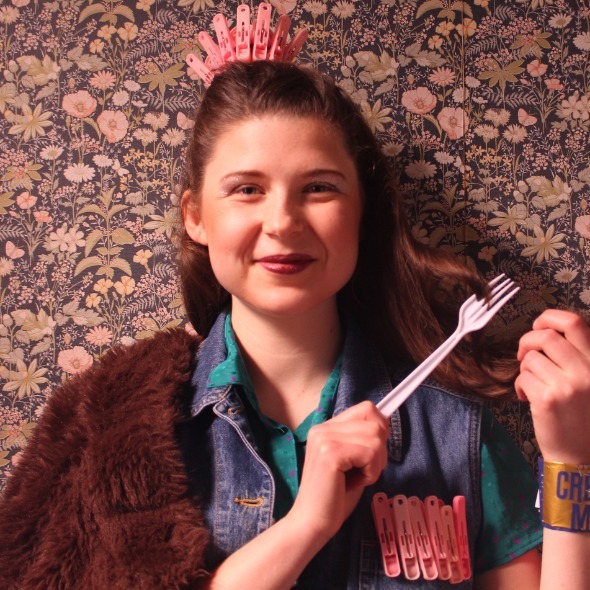 Achievements include leading the CNZ and WCC funded audio-immersive satirical show 100% Pure Tour (2018) for her MFA (Creative Practice) with Distinction, a nomination for most promising emerging talent in Nelson Fringe 2017, and winning an Antoinette for “Best Female Actor in a Lead Role”. She is also a huge supporter of Wellington theatre and a certified delight! This show is put on by Toi Ngākau Productions. Toi Ngākau Productions has newly emerged after a lifetime friendship between theatre practitioners Courtney Rose Brown and Bethany Grace Miller. With a Masters degree each, and multiple projects under their belts, they’re excited to bring Running Late to the stage, The Girls to the screen, and Waste not Want not to the Fringe.